Back in the 1950s, The Italian food company Motta launched a new type of advertisement, in an effort to affirm the quality of their products. 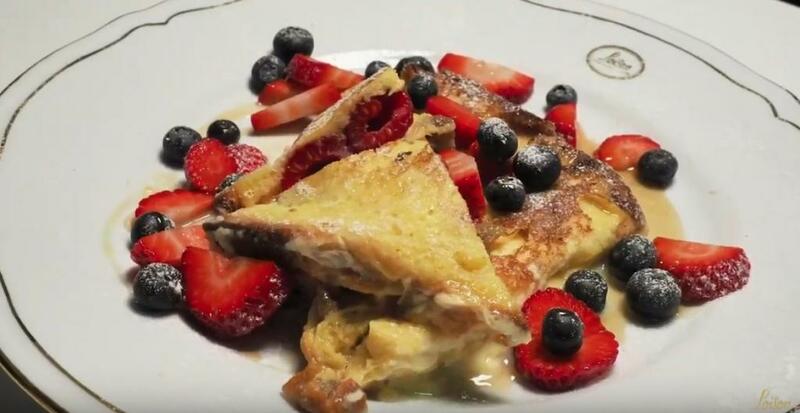 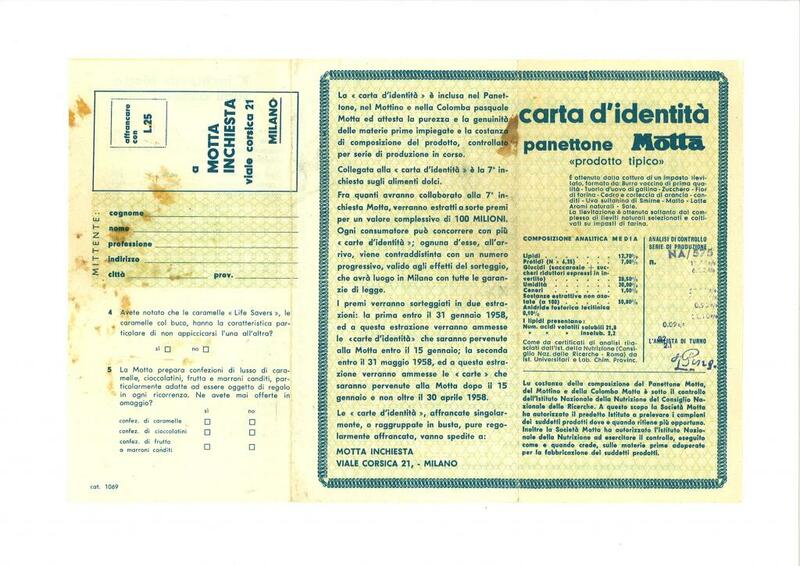 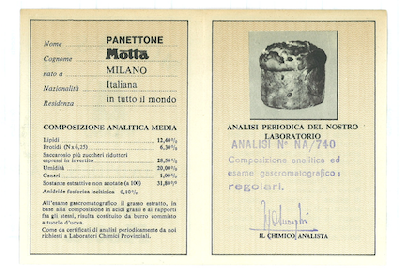 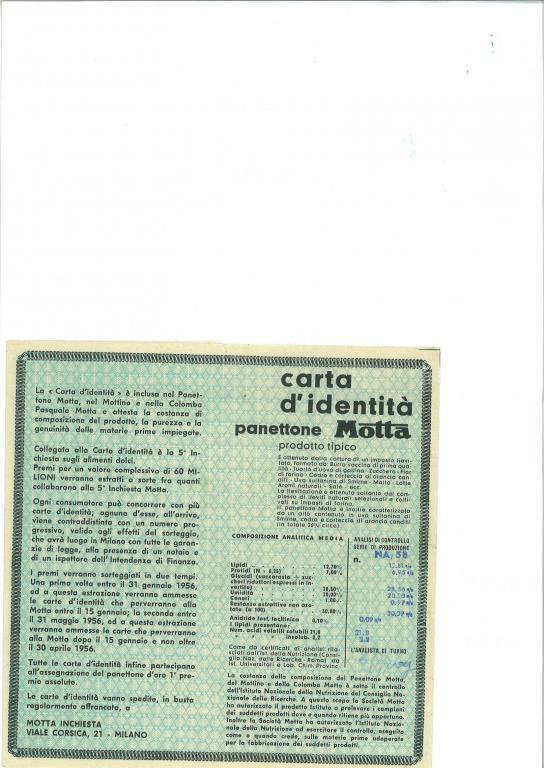 With Motta’s Panettone cakes came a sort of ‘identity card’ attesting to “the genuineness and authenticity of the ingredients used and the consistency of the product, which is controlled during each step of the production”. 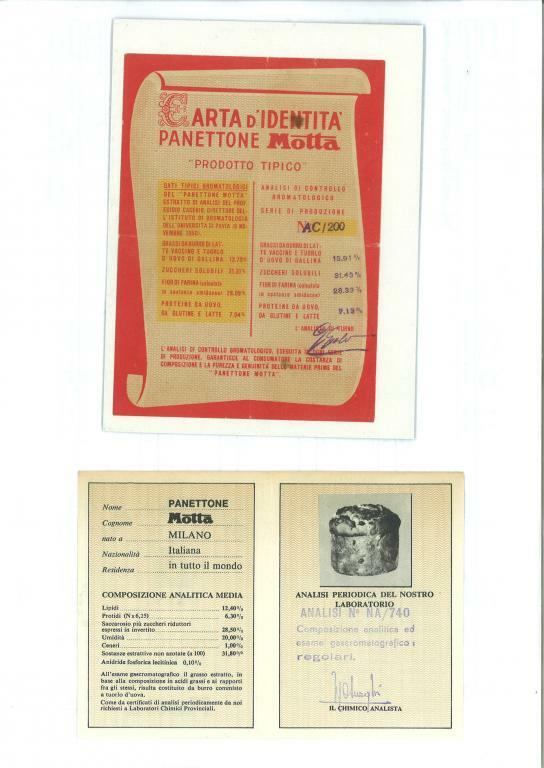 Furthermore, the ‘identity card’ listed the average composition of the lot and all the ingredients used. 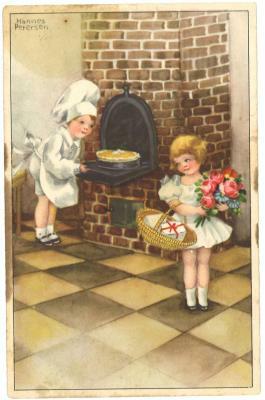 This tool was also used to carry out studies and research or, as it was called back then, a "national survey" on the consumption of sweet foods. 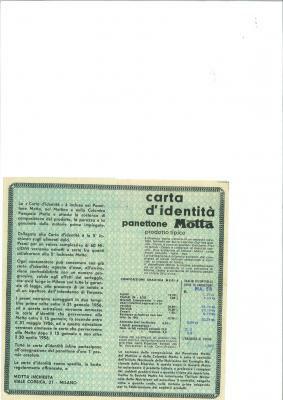 As a reward for participating in the survey, prizes totaling up to several tens of millions of Liras were awarded randomly among the participants (for the 7th survey the total came up to 100 million Liras). *From La pubblicità comparativa, published by Maggioli, page 40, footnote 9. 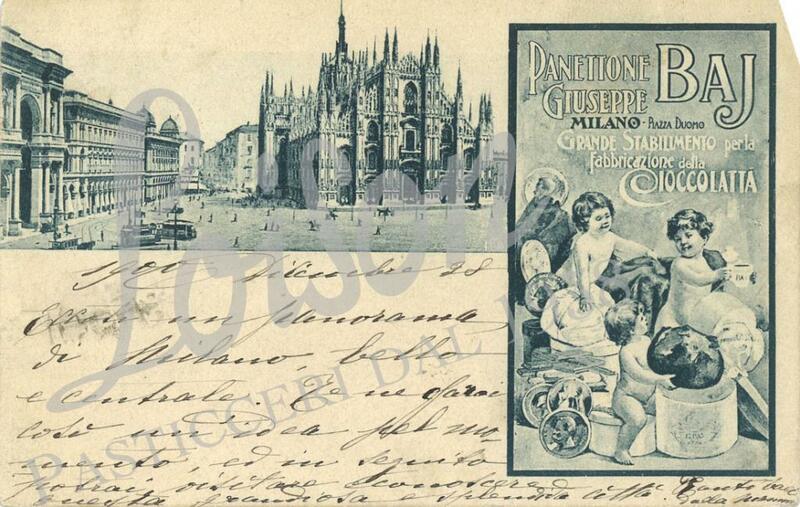 Here is the postcard that adorns the collection of Loison’s Cappelliere (hatboxes). 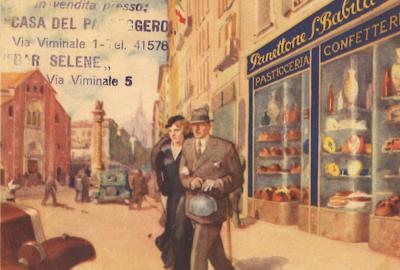 It depicts a vintage portrayal of Milan from the early 20thcentury. 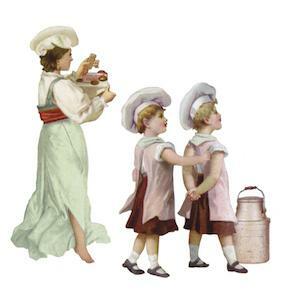 It gives us a peek into the windows of a richly laden pastry shop, from where an elegant couple has just stepped out holding a package containing a Panettone. 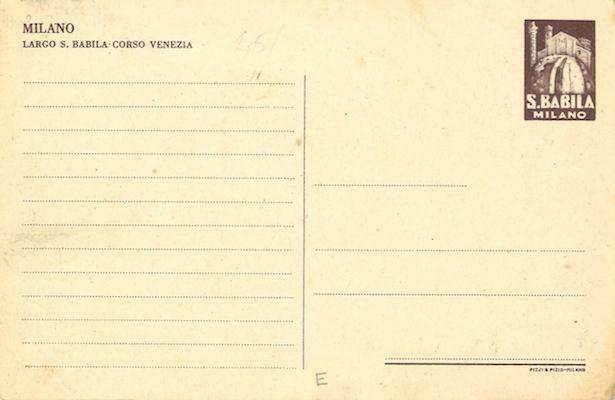 Loison’s Museum comprises not only a library, but also a very wide collection of historical postcards that Dario tirelessly sought for in antique markets around the world. 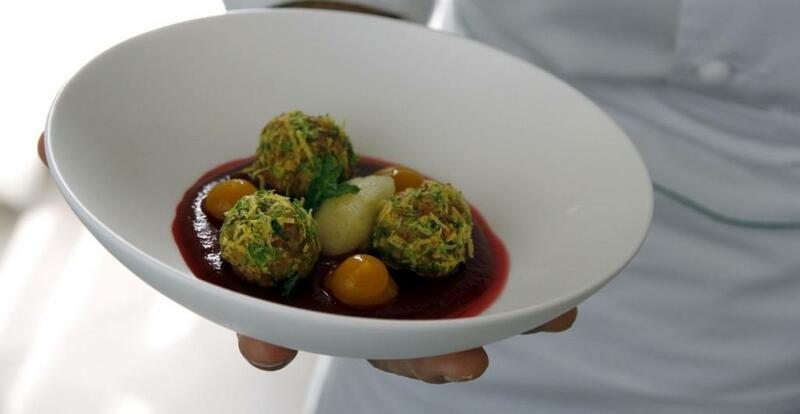 Sonia’s creative mind then incorporates them into refined packages. 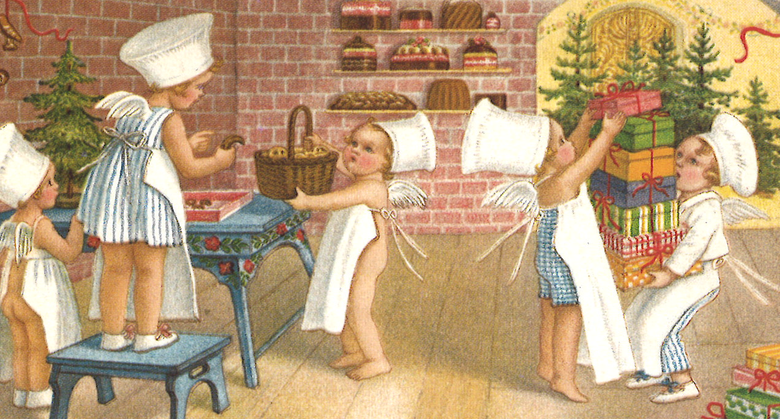 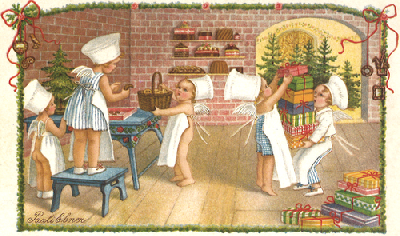 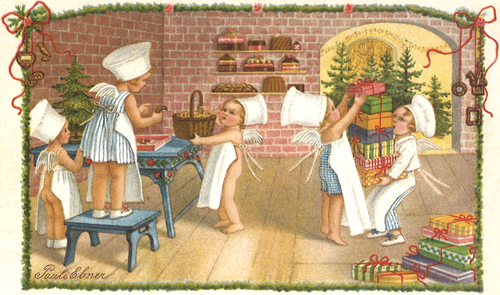 The design of Loison’s 7th edition tin box reflects indeed the images of old postcards featuring young angel confectioners. Some of the postcards date back to 1932. 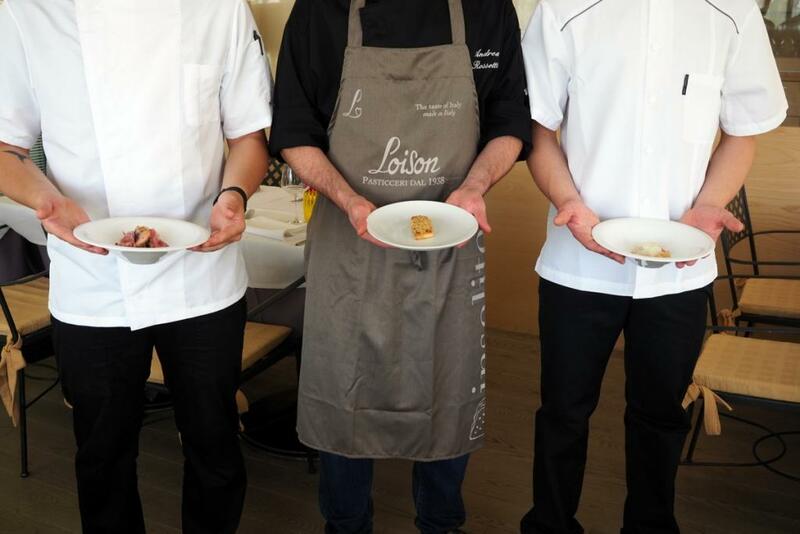 The content of the tin box is always the same, because you can’t ask for more: a Classic Panettone a.D. 1476 – namely the top of the Loison production with the best of every ingredient.